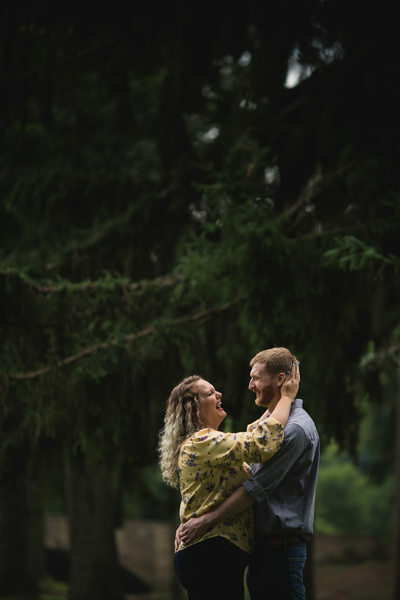 Recently engaged and looking for a unique and fun engagement session in the Kenosha or Milwaukee area? 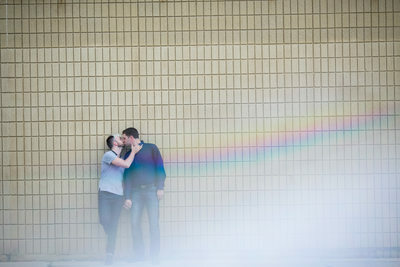 I would love to brainstorm ideas on how we could create a one of a kind engagement photo shoot for you and your fiance. 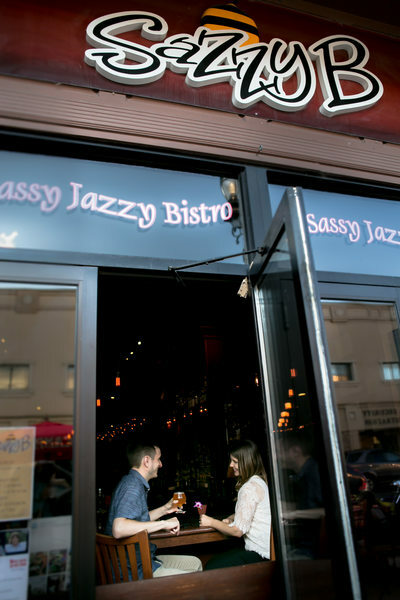 I would like to breakdown engagement photography into three different categories. Proposal, portrait, lifestyle. The audience for proposals is pretty specific… Whomever is planning on proposing to their significant other, this is for you! There is definitely some repetition throughout my website… and that is my passion for documenting moments. Having the opportunity to document a proposal is absolutely, without a doubt my preferred method of engagement photos. Not that I don’t love having an engagement portrait session… I definitely do…but if I can capture the moment that the two of you became engaged? That is even better. Logistics behind this vary from situation to situation. I’ve had to lie to people (and I am a very crappy liar), I've had to pretend that I was photographing nature, and I also had to sit outside of an airport building on the runway waiting for a helicopter to land acting as though I wasn’t there to photograph what was about to happen. Whatever you choose for your method of proposal, having a photographer there to capture the moment is truly a thoughtful and wonderful thing. Next would be an engagement portraits session. This is your typical photo session where the two of you will have one or two outfits, we will choose a few locations that you like whether it's more nature involved or more urban...and we will go through a series of poses and prompts to get a wide variety of beautiful photos of the two of you together. These are typically used for engagement announcements, save the dates, or decorations for your wedding day. I’ve seen people use their engagement photos for their guest sign in book or as a large canvas where guests sign it at the wedding. Popular locations for engagement sessions in the Kenosha area are similar to locations for family sessions. Petrifying Springs Park, anywhere along Kenosha‘s lakefront including the pier or Southport beach house. Downtown Kenosha offers a lot of urban and grit type backdrops with brick walls, painted walls, and unique buildings. With the traveling I do for weddings, I often travel for engagement sessions as well, and have done several in the Milwaukee area specifically in the historic Third Ward. 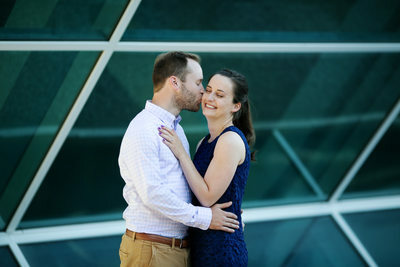 The Art Museum on Lake Michigan in Milwaukee is also a popular location for engagement photos. That venue offers several beautiful backdrops including the War Memorial building, the bridge, a park above the parking lot, and the beautiful Milwaukee city skyline. Finally life style engagement photo shoots. I consider these shoots to be a combination of documentary and traditional portrait sessions mentioned above. The difference with a lifestyle engagement shoot is I like to try and include elements of my clients interests and love story into the photo shoot. The more adventurous and outgoing my couple is…the better this session can get. I have started engagement sessions in my clients home to include their pets, or how they like to spend their downtime together. I also like to bring in elements of the proposal or how they met into the photo shoot as well. One thing I haven’t yet been able to convince someone to do…but would absolutely love… Is to do something super crazy like jump into the lake, do a paint splatter shoot, or something really super messy and fun. With life style shoots we definitely incorporate some of the more traditional portrait elements into the shoot to get some nice photos of the two of you together which you can use for family, announcements, or save the date if you wish. 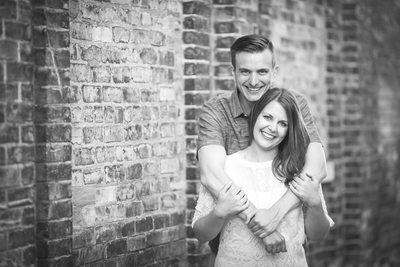 Engagement sessions are a perfect way for us to work together prior to your wedding day so that we can get to know each other better and you can learn my style of shooting. I offer direction for posing and portraits, but I definitely encourage the two of you to interact with each other as naturally as possible. And I can definitely walk you through how to do that… Don’t worry I will not leave you hanging! It’s truly a great way to feel what it’s like to be on the other side of my camera and have your picture taken. Come the wedding day, it will be easy peasy. Not only that, the three of us will feel much more comfortable around each other and it really does make the wedding day so much more relaxing.